Signing of teaming agreement between OHB System, IAI and other representatives. Credit: OHB SE. 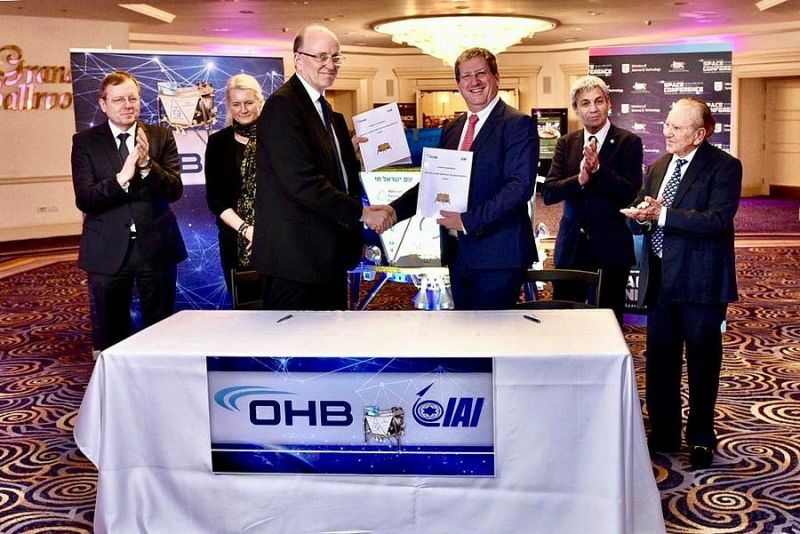 German satellites manufacturer OHB System has signed a teaming agreement (TA) with Israel Aerospace Industries (IAI) to provide a commercial lunar surface access service (LSAS) to the European Space Agency (ESA). The LSAS will cover payloads up to 150kg and is expected to support ESA’s In-Situ Resource Utilization (ISRU) initiative. The initiative will focus on landing landers on the Moon to test technologies to produce oxygen, water and other raw materials from lunar soil. It will also involve the collection and evaluation of samples of the Moon’s earth. As part of the new TA, OHB System will serve as prime contractor and collaborate with ESA and the developers of scientific payloads for the lunar lander. OHB will also manage the service commercialisation and mission definition with potential users, as well as manage the project and mission from selecting payload and integration to launch and mission operations. IAI will provide a lunar lander, which will be developed on the basis of a design previously created and built for SpaceIL. The flight-ready land is expected to be launched next month from the US. IAI will also accommodate payloads, integrate with the launcher, assist in the launch and early orbit phase (LEOP) and decommissioning, as well as offer additional support. IAI CEO and president Marco Fuchs Nimrod Sheffer said: “Exploring the moon and using it as a base is a logical next step for me that offers many advantages and opportunities. Landing on the surface of the moon, however, is still a challenge. “At OHB, we have carried out several technology studies on landing, using Moon resources example for fuel, oxygen or water production, and on robotics.